I keep looking around for news and stuff like that about the current exhibition Warhol by the Book at Williams College Museum of Art in Williamstown. Maybe i’m looking in all the wrong places but i’ve not found a HUGE amount of buzz about it so far, but things are just getting started… I did however find a very interesting interview with Matt Wrbican done by a radio station namned WAMC, i think….? Anyways, the interview is almost half an hour long and since i won’t be able to see the actual exhibition this was a really great listen and with Matt’s enthusiasm and detailed descriptions about it all it almost made me feel like i was there checking it out. 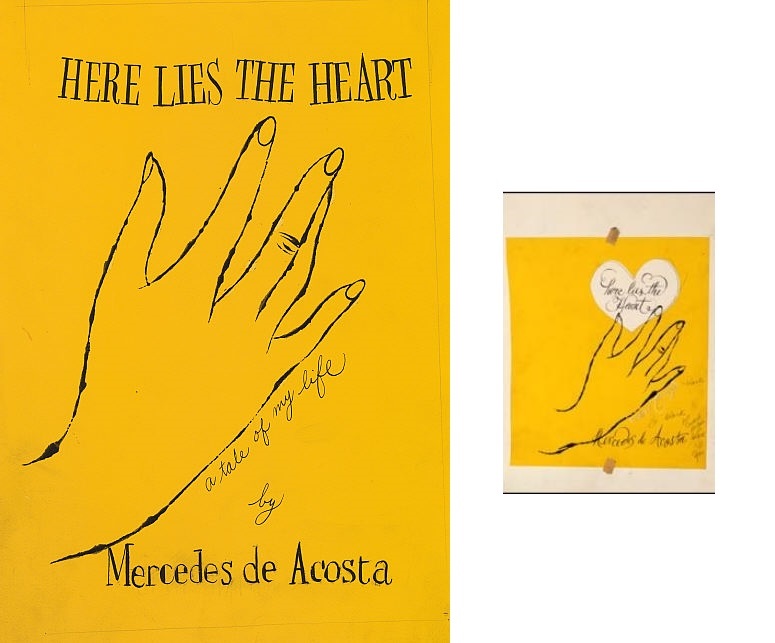 When it comes to the dust jackets and book covers he mentions there are 19 known books and that there are probably others that we don’t know of yet. So that’s good news for my goose hunting that even he thinks there might be more… Among all the great stuff he talks about he mentions the design for Pistols for Two which was Warhol’s first dust jacket as a professional and that they have five drawings in the exhibition that relate to that design, as i understand it going through all the steps from draft to finished design, or something like that… He also mentions the misspelling of his name on some covers and of course A LOT of other cool stuff. Check out the interview here, well worth a listen! 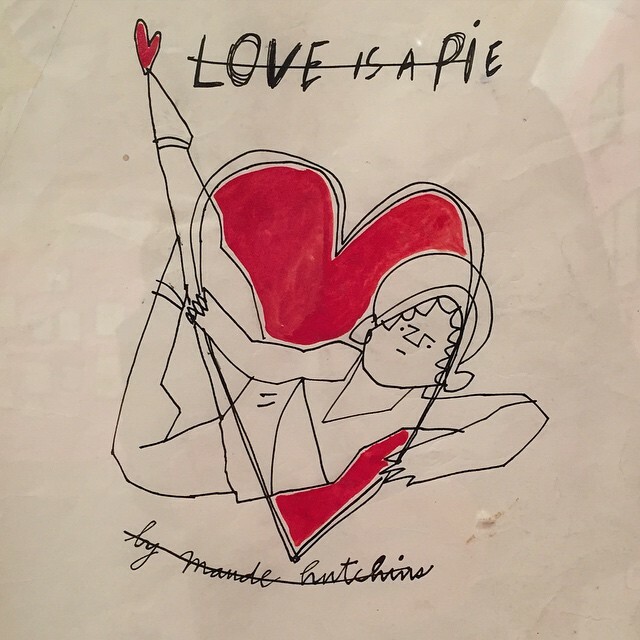 Alternative covers for Love is a Pie? 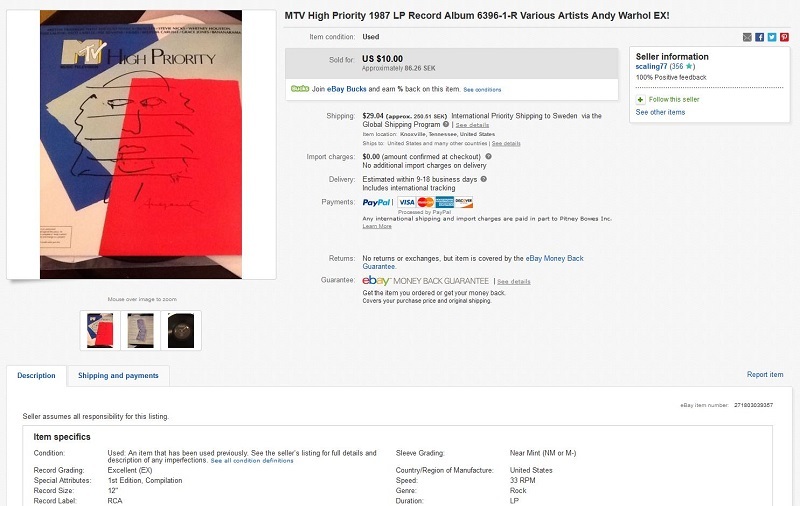 I’m far from an expert on Warhol, especially not when it comes to what went on in the pre-pop days. But i’m trying to learn. I do prefer his early work and as said i’m trying to read up on it. I’m waiting for the book From Silverpoint to Silver Screen that i’ve been told by Guy Minnebach is a fantastic source for these old drawings from the 50’s, so that will be interesting to have a look at eventually. I’m also not really THAT into art in general. So every now and then i come across things that are news to me but that have most likely been collecting dust in others peoples heads for a long time or been featured in some exhibition years ago. And that is what happened last night. 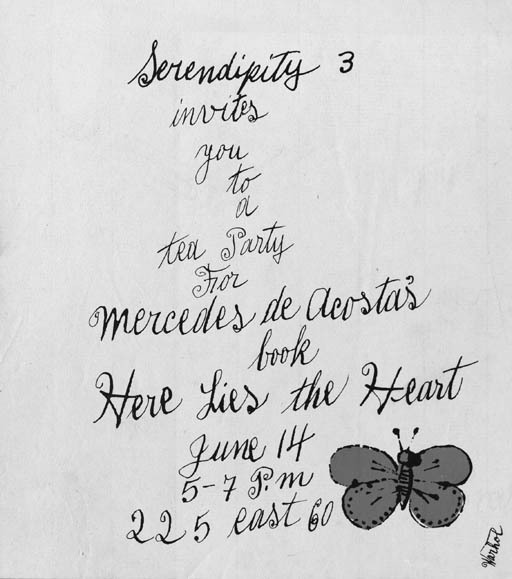 I came across some images from an exhibition called Andy Warhol 1950s Drawings that was held at the Anton Kern Gallery in New York at the end of last year. I would assume most, if not all, of the drawings on display are in the previously mentioned book and if so they have also been in at least two previous exhibitions that i know of, one at the Louisiana Museum of Modern Art in Denmark and one at the Teylers Museum in The Netherlands. And i’m not totally ignorant when it comes to all this, i had seen a couple of the drawings before but i did notice one that i had not seen. And that one was pretty interesting. It appears to be an alternative cover to Lov e is a Pie by Maude Hutchins and even though both the title and the name of the author has beed crossed over it still looks like a somewhat finished draft. A bit rough around the edges maybe but still, pretty interesting! As said i’m no expert but it’s interesting that this is not really in the same style or whatever as the drawing that ended up on the cover. This is more of a “boston pops style face” to me whereas the end result has the featureless face thing going on similar to the one on The Runaway Pigeon. Anywhoooo… This “incredible” find prompted me to start looking for more. Even though i have come across some other drawings that appear to be alternative covers for Pistols for Two and The Runaway Pigeon i never really though about that there might be more for other books. But apparently there are. 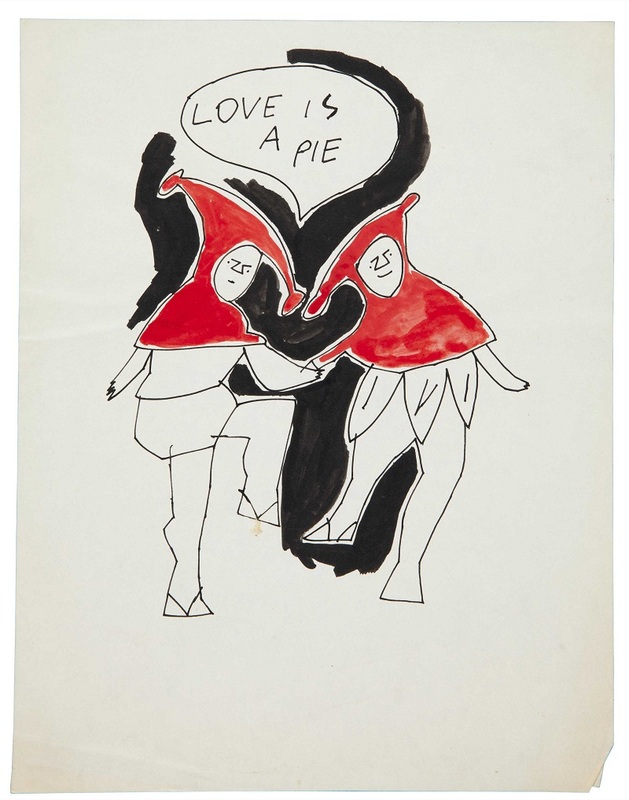 And eventually i found yet another drawing on the “love is a pie theme” that was up for auction at Christie’s. 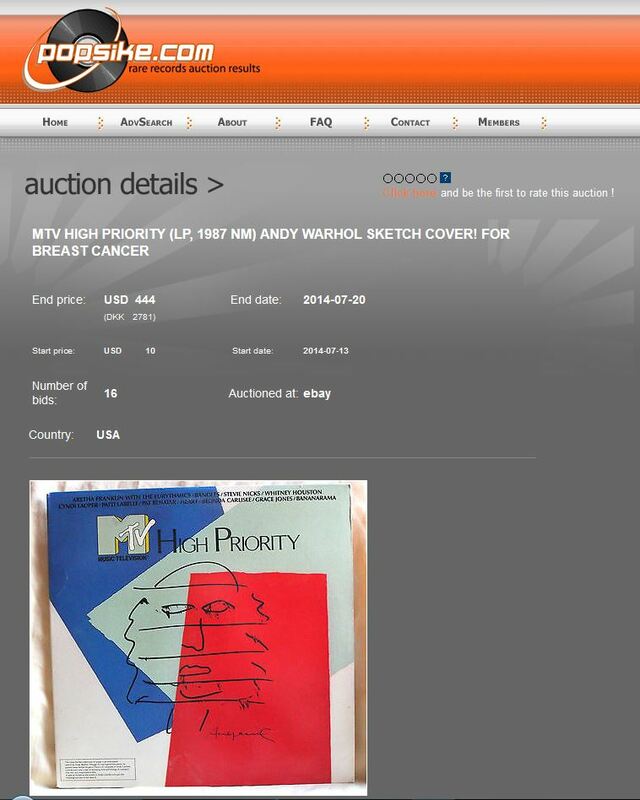 I haven’t figured out when this was or if it sold but that doesn’t really matter. Unlike the first drawing this does not feel as finished to me, not only because the authors name is missing but i don’t know… it feels to messy too be something other than an early draft or whatever. With a good imagination i guess one might consider the space between the two jokers or whatever they are to make out the shape of a heart, but i don’t know… might just be a coincidence.